Dot London, the official domain name for the capital, has been unveiled as Harlequins’ Official Online Partner and will be working with the London Club to help showcase the city’s thriving small business community. Dot London, an alternative to .com and .co.uk, encourages organisations and individuals to celebrate their association with London – something Harlequins have embodied throughout their rich history – and embrace the capital’s global business reputation. To celebrate the partnership, Harlequins will be adopting their new web address www.quins.london for the rest of the 2018/19 season*. London’s domain name has been adopted by a number of small businesses, including South West London-based YogaHub, Twickenham-based bar and entertainment venue The Shack 68, and craft snacking brand Serious Pig. Using a Dot London domain name helps to localise businesses and allows them to shout about where they are based as well as adding the power of London to their brand. Like Harlequins, Dot London works closely with the local community to help highlight the important roles that small businesses play in London’s infrastructure and help build the capital’s appeal as the ideal city for innovative entrepreneurs. 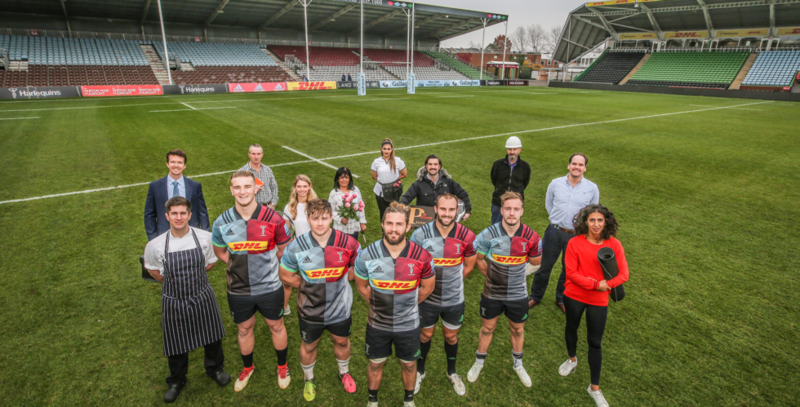 The partnership will include a series of videos of Harlequins players visiting London-based businesses that use Dot London web addresses, discounted domain name offers for Club members and special player appearances.